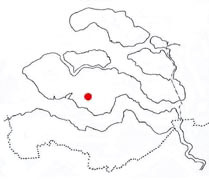 The familyname Hollestelle originates from the former island Zuid-Beveland, province Zeeland, the Netherlands. The first mentioned person was Jan Claesse Hollestelle in 1563. The question is whether he is the Ancestor (stamvader). A holle stelle is a well on a higher ground on the shore where a shepherd can let his flock drink. 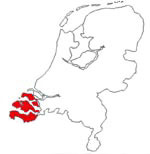 In Zeeland, a land of polders and dikes, there is the Hollestellepolder, form where the familyname originates. There are seven different groups, which do not have a common forefather. A genealogy or familytree contains a report of all descendents of one person in male line. The oldest found ancestor, the patriarch (or founder), is the starting-point of the genealogy. Only from sons information about their descendants has been collected. Each generation is pointed by a Roman numeral. In fact a genealogy is a survey of all descendents in male line of one patriarch. The basis of the information on this website is the book Genealogieën Hollestelle, 1563-1997. This book was published in 1997.